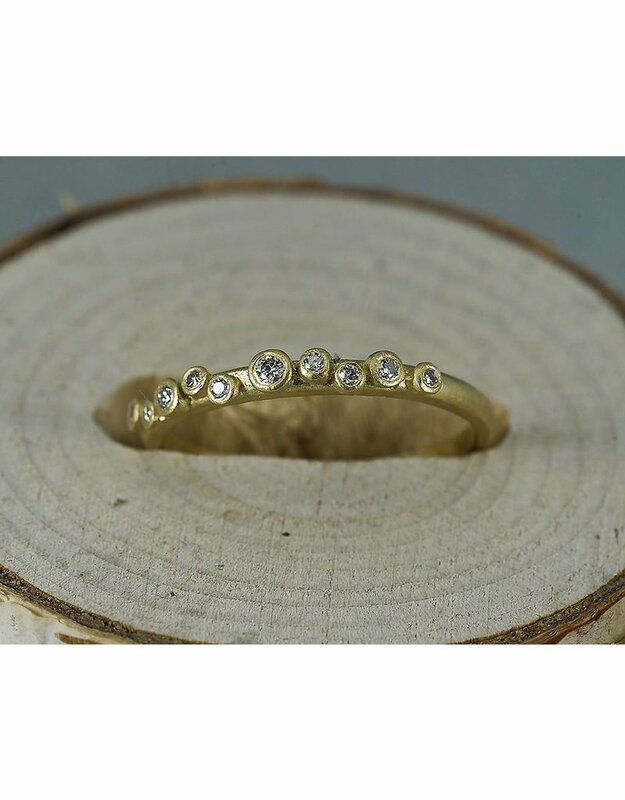 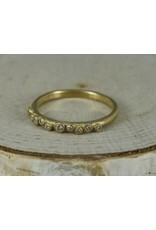 A collection of twinkling diamonds is showcased in this whimsical 18k gold band. 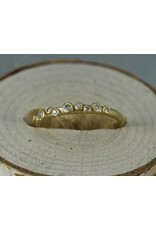 10 conflict free diamonds in varying sizes create interest. 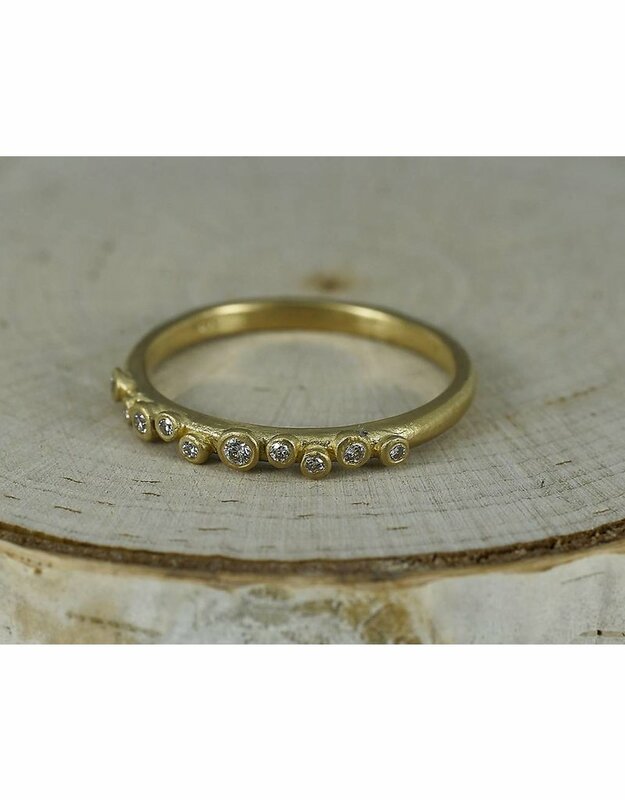 Diamond weight .28 carat.